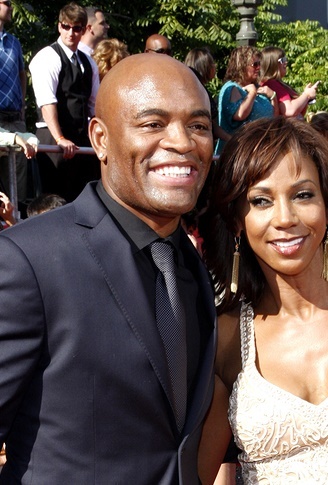 Anderson Silva is a Brazilian mixed martial artist. He is signed with the Ultimate Fighting Championship (UFC). Anderson is an expert in Muay Thai and Brazilian Jiu-Jitsu. He is also a black belt in Judo and a yellow rope in Capoeira. His BJJ lineage comes from the Nogueira brothers and then from Carlson Gracie. Anderson will go down in history as one of the most dominant fighters in UFC history, defending his middle weight title multiple times in spectacular fashion. Anderson was raised in a poor family. Anderson is married to Dayane, with whom he has five children.